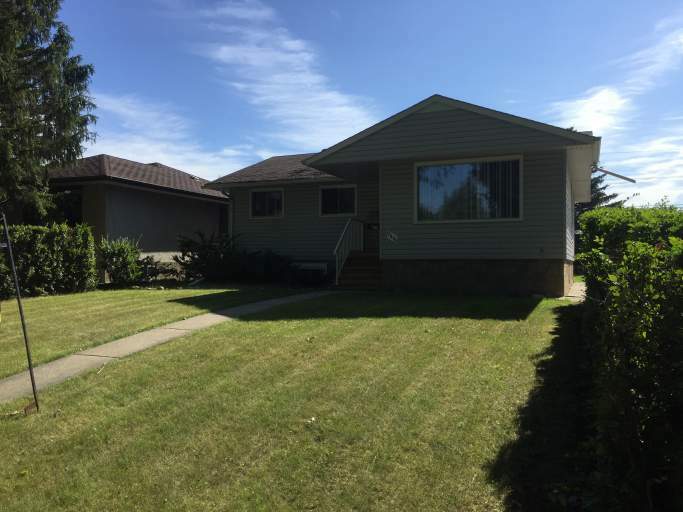 This home is located conveniently off of 75 Street and 101 Avenue, making any commute to Downtown or anywhere else a breeze! Not to mention you have great access to Capilano Mall and the various amenities that surround the mall. There are various schools in the neighborhood including McNally High School, Austen O'Brien, and Braemar School, and with the river so close, various parks and walking trails are just blocks away! Inside the suite you'll find a large front living room with tons of natural light, a huge dining area and a spacious kitchen complete with plenty of counter and cupboard space and a full sized fridge, stove and even dishwasher! There are three spacious bedrooms, a full bath with tub shower and plenty of storage and linen closet space. This is a great place to call home! Exclusive access to the double car garage, and plenty of backyard space to enjoy for the upcoming summer months! Utilities are split 60 - 40 with the basement tenant.